The apartments that measure between 23 and 50m2 are distributed on 6 floors and offer space for different needs. 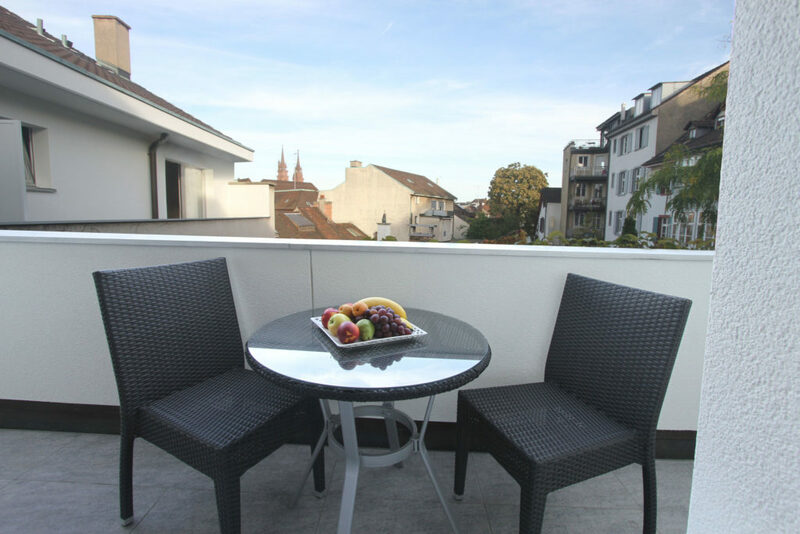 A Highlight are the six studio apartments with balcony where you can not only enjoy a beautiful view over the roof of the oldest part of Basel but also enjoy the extras we offer on the executive floor. 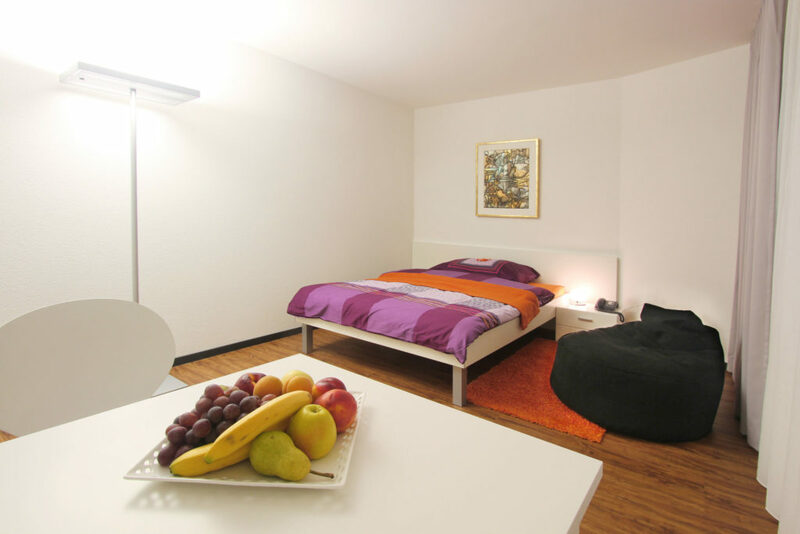 All apartments at the Apartmenthaus zum Trillen are built in high-quality, fully furnished with TV-audio-systems. 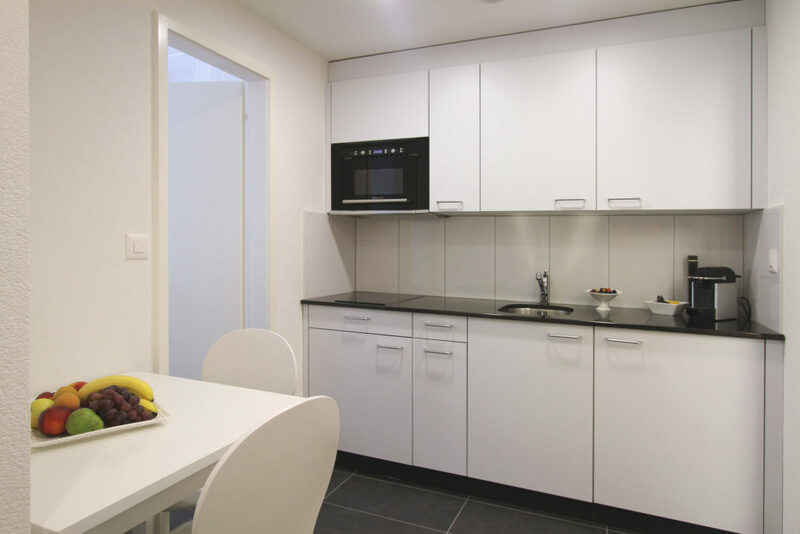 The kitchens are fully equipped with Nespresso coffee machine, microwave stove, refrigerator and the necessary tableware and cutlery. 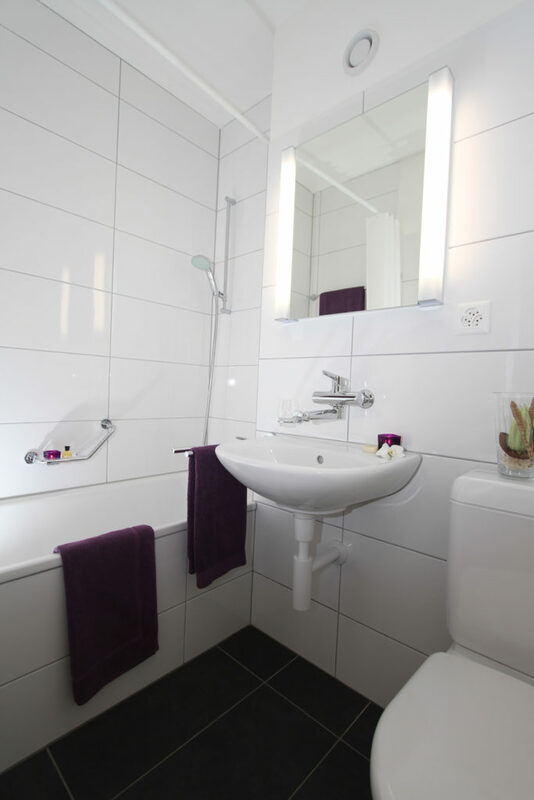 All unities are fitted out with high-quality baths with bath tub and toiletries for your arrival. A washing machine, dryer (coins operated), iron and ironing board, as well as hairdryer are available. We offer laundry service as well as dry cleaning. 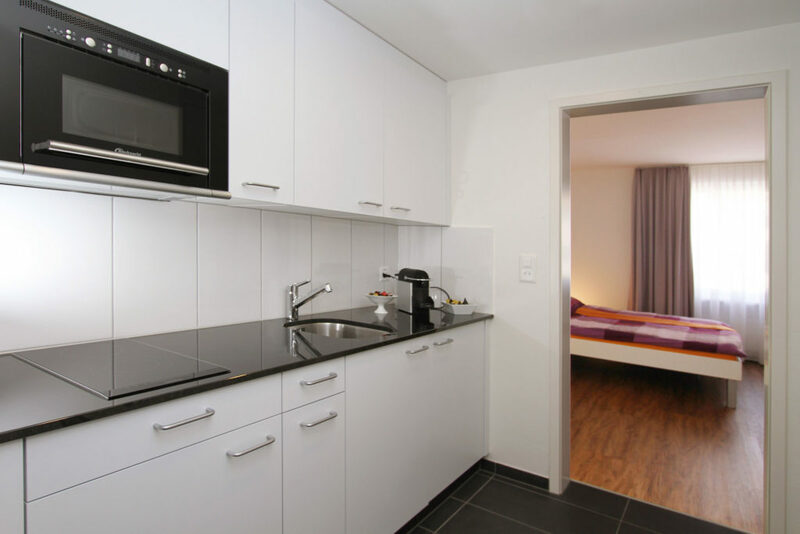 With a size between 23 – 25 m², kitchen and own bathroom the apartments are optimally for a stay in Basel. Shall it be a little bit more? 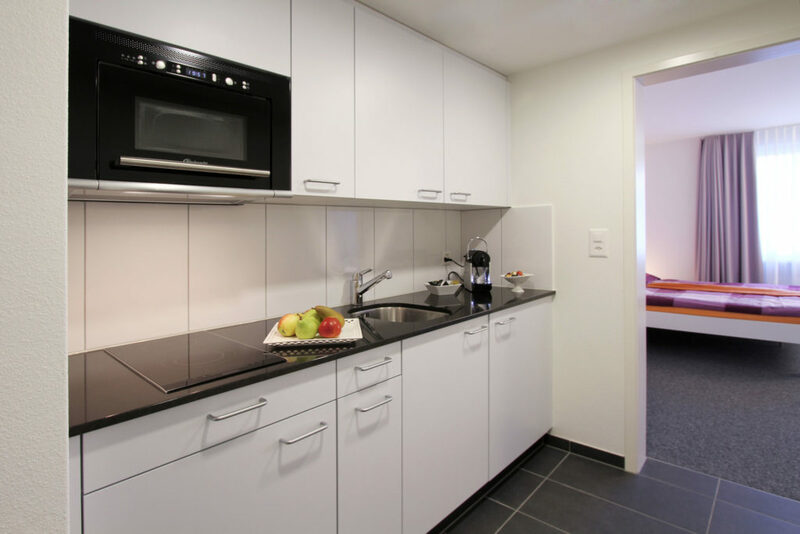 With 29 m ² floor space, kitchen and spacious bathroom these apartments are ideally for a longer stay in Basel too. You are two travelling or travelling as a family with your child? 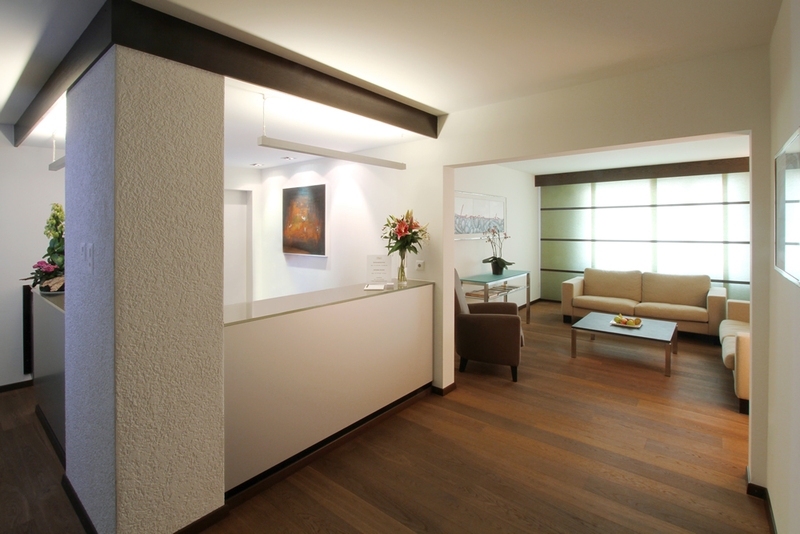 With 29 m ² floor space, kitchen and spacious bathroom our double apartments are optimally for your stay in Basel. 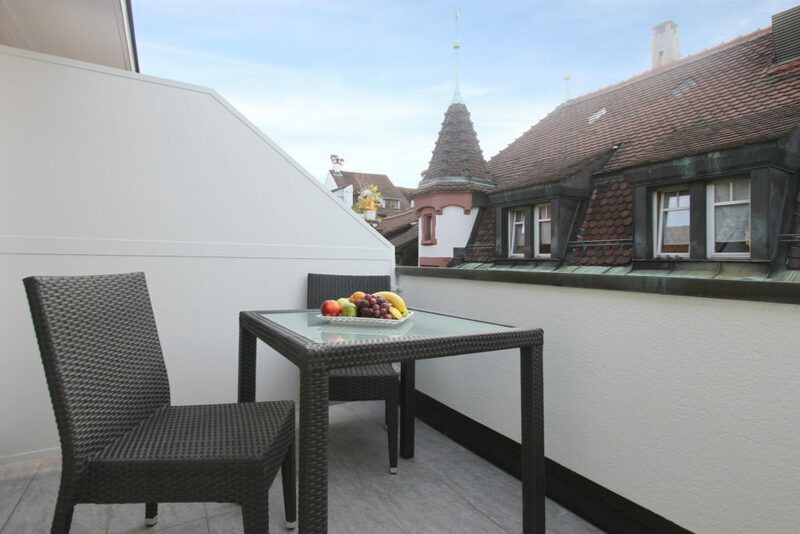 Have your own balcony in the oldest part of town in Basel? These apartments have a special touch. The view from the 5th floor over the roofs, own kitchen, spacious bathroom, daily cleaning on weekdays. Bathrobe, slippers, hairdryer, iron and ironing board do not leave any wishes open. 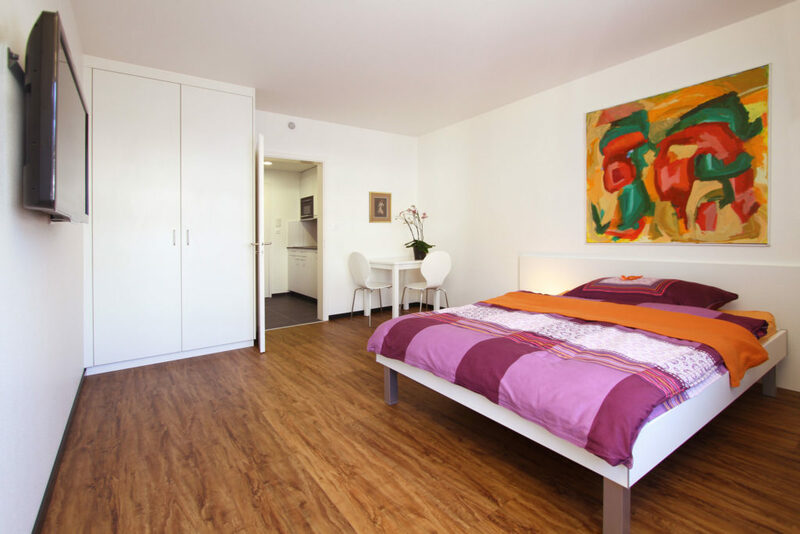 On the single apartment, single apartment plus and double apartment you can additionally book the option of daily cleaning (Monday to Friday) for CHF 300.- per month. The maximum occupancy of our double apartments is two adults and one child in the extra bed. Fully furnished apartment, with fully equipped kitchen, incl. Nespresso coffee machine. Kettle, coffee, tea and sugar for free. Microwave-oven, fridge with small freezer, glass ceramic cooking fields. 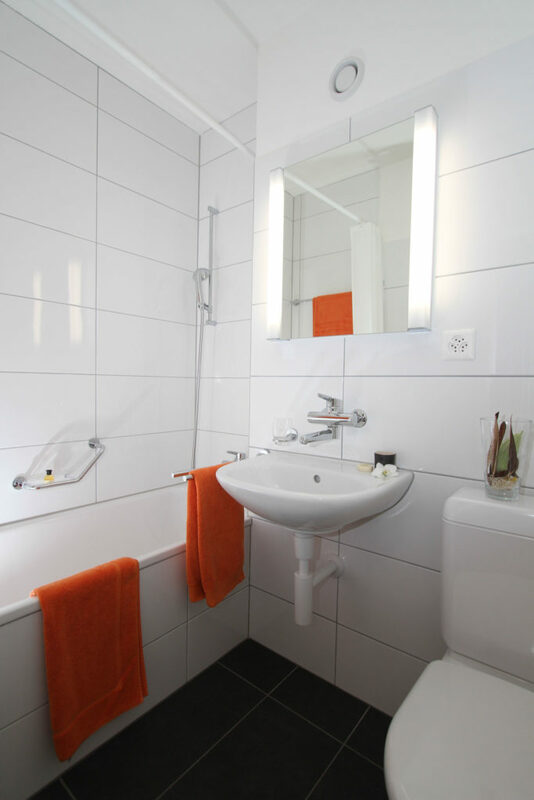 Bright bathroom with bath tub, toilet paper, toiletries (shampoo and soap) for your arrival. 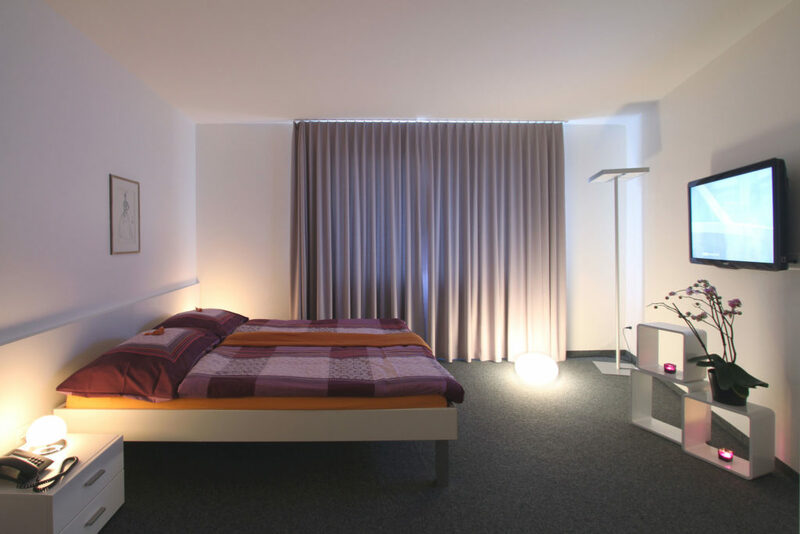 Weekly or daily cleaning of the apartment, weekly change of bedlinen and towels. We take care of the rubbish and recycling on a daily basis (Monday to Friday). A daily cleaning is included up to reservations of 7 nights. The final cleaning is already included in all categories. Personal care on site from Monday to Friday. All our guests have unlimited Internet access for free and flat screen TV with international channels. A washing machine, dryer (coins operated), iron and ironing board are at disposal. We offer laundry service and dry cleaning.